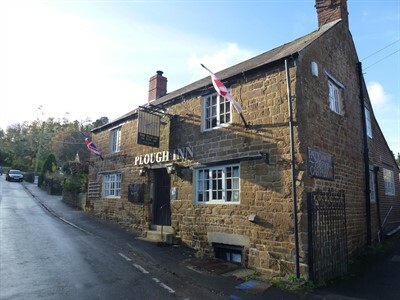 A New ‘Free of Tie’ Leasehold Inn has been sold by Leading National Licensed Property Agent Guy Simmonds :- Plough Inn, Church Hill, Warmington, Warwickshire. This desirable ‘free of tie’ leasehold Village Inn & Restaurant is situated within the Warwickshire village of Warmington in the Stratford Upon Avon district of Warwickshire, it is located on the Oxfordshire border, around 5 miles northwest of Banbury and on the edge of the Cotswolds. The property is offered in excellent condition and benefits from a ‘U’ Shaped Lounge Bar/Dining Area (circa 50) which offers considerable character and an intimate and cosy feel. To complete the property is a rear Patio Beer Garden (circa 40), 3 Bedroom Living Accommodation, Commercial Catering Kitchen and Car Park for 12 Cars. Marc Blackford of Guy Simmonds said ‘We have created a New ‘Free of Tie’ Lease Agreement for our vendors which created considerable interest and was sold in a matter of days’.